If you haven't checked us out yet then this Sat is for you! Felix & Fingers plus many new additions to our 'secret menu'! Hope to see you there! Doors open at 9:00pm. NO COVER CHARGE! 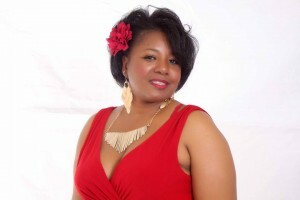 Join us on Saturday, April 9, as we welcome singer/song writer Shirley Tyler to the Coco Club. We hear that it is her birthday, so come on by and enjoy a wonderful evening with Shirley. 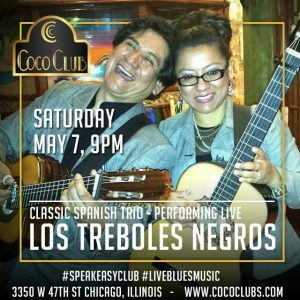 Coco Club Presents Siete De Mayo!! 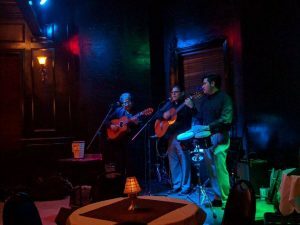 Live Entertainment, Killer Margaritas! Coco Club Presents Siete De Mayo!! 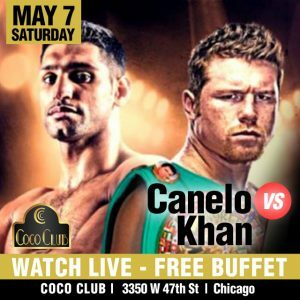 Canelo VS Khan Fight, FREE Buffet, Killer Margaritas! 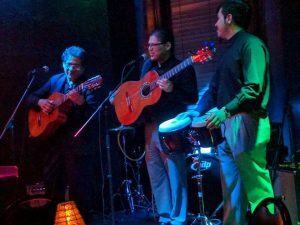 Join us on Friday for "Noche de Baile (Night of Dance)" as we welcome a live performance from the Latin Band "Los Treboles Negros". Killer Margaritas, and craft house drinks all night long. Doors open at 9:00pm. 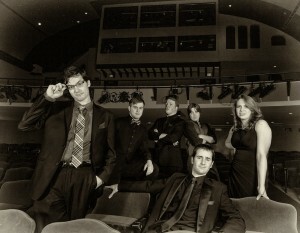 If you haven’t checked us out yet then this Sat is for you! Felix & Fingers plus many new additions to our ‘secret menu’! Hope to see you there! Doors open at 9:00pm. NO COVER CHARGE!